Fire up the grill and load up some zucchini for a delicious summer meal! I honestly cannot think of a summer dish I love more than stuffed zucchini. I don't think my family is as fond of stuffed zucchini as they are of stuffed peppers, but they don't complain, so I count that as a win. In fact, they usually devour the zucchini and get seconds. I love this particular recipe because of the Italian sausage with the red onion and tomato. I think it makes for a good marriage of flavors and it looks very colorful. Colorful food makes me such a happy camper. I unfortunately did not make these on a grill. However, I did include instructions on how to do that. Although I will have to make these again soon because I now have a grill cast iron pan and Nick got a new grill for an early Father's Day present, so we are really in a grilling mood! This Slow Cooker Bacon Ranch Chicken makes such a good sandwich, it's like crack! I love food holidays and I figured it would be so much fun to "celebrate" them by sharing recipes. 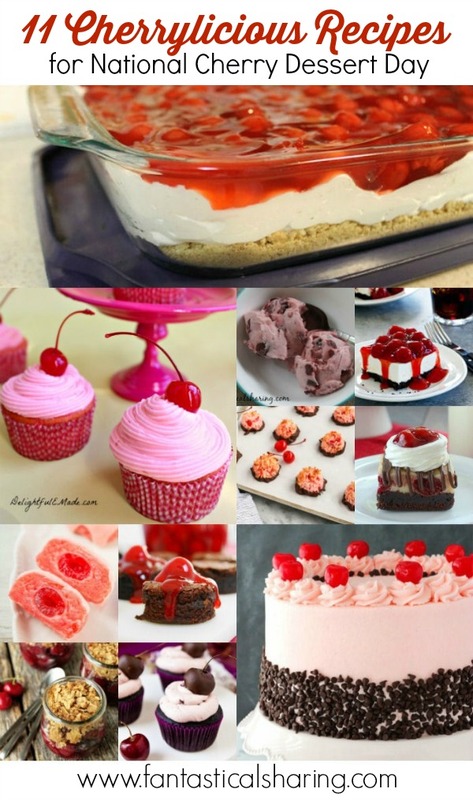 Today is National Cherry Dessert Day and I think it's perfect with summer coming up and especially with some patriotic holidays coming soon. This homemade ice cream is smooth, creamy, and wonderful! I received an ice cream maker attachment for my mixer almost 3 years ago for my birthday. Admittedly, I don't use it as often as I should or as often as I'd like. I have been pretty intrigued by recipes that use coffee creamer lately because of the versatile flavors you can put into whatever you're making. I decided I wanted to take a base recipe for ice cream and sub in some coffee creamer. My first thought was to go with hazelnut because I love hazelnut creamer and I had some in my fridge. I subbed some of my milk with the creamer and the end result was wonderful. I loved how smooth and creamy this ice cream was...unreal, I tell you! Most of this recipe is prepped early in the day or the night before, so it can be a quick dinner when you're in a bind! This bruschetta chicken recipe did not call for kale originally, but why not!? Kale makes everything better, plus I had some leftover kale that I did not use all of sitting in my fridge. I also did not have a spiralizer at the time I made this, so I replaced the zoodles with regular noodles. It was a wonderful and hearty meal with all the veggies and chicken and pasta. We really loved it. I got to use fresh basil from my Aerogarden and it made me really happy, especially since my basil has been crazy and I have to trim it constantly to keep it under control. I love that the chicken was marinated in Italian dressing because it reminded me of one of my favorite recipes, Italian Pineapple Chicken (I'll link it at the end of the post). I could eat the Thai peanut salad dressing with a spoon, but alas I had to save it for this wonderful salad! You know how there's that thing where if you crave one thing, it means your body needs something else? I wonder what it means when you crave veggies. I have eaten a salad as a snack. I have no shame. Salads are just one of my favorite meals ever. I had a salad yesterday with no meat on it, but I do prefer chicken on my salad. I love the addition of cabbage to the lettuce and all the goodies that are in this particular salad before you even get to the dressing. I'm not kidding when I say I'd eat it with a spoon. The savory factor added by the peanut butter is straight up crazy! It's funny because years ago when I got the cookbook this recipe is from...I probably skipped past this recipe thinking it was crazy to have peanut butter in a savory dish...and even crazier to put it in salad dressing. But now, I am all for it! I wish I had been a fraction more willing to try new things back then. This delish Chinese-American recipe is slow cooked in a garlic sauce and crunchy cashews! This cashew chicken is very easy to make and is a wonderful Chinese-American dish. I chose to add my cashews at serving, so they maintained their crunch. You can throw them into the slow cooker at any point during cooking though. It's totally up to you. I have tried a few cashew chicken recipes and this is definitely my favorite. If I could change one thing, it would be to top it with fresh green onions for serving. The other recipes I've tried had onions and I think that is the only thing missing. First from the archives is this BEST EVER PEANUT BUTTER FUDGE recipe that really is the best pb fudge ever. The use of crunchy peanut butter makes me so happy. And when I'm not sure what to make for Taco Tuesday, I turn to this 16-MINUTE BEEF AND BURRITOS recipe and the toppings are customizable to each person. Welcome back to another round of Fantastical Food Fight. Today's theme is CHERRY COBBLER because today is National Cherry Cobbler Day! Unlike last month where the BLT had to be a sandwich, today's recipes don't have to be a traditional cobbler. In fact, the Food Fighters could do muffins, oatmeal, pizza, etc. ; it just had to be reminiscent of cherry cobbler. I chose to make Cherry Cobbler Bars and it was actually our dessert for Mother's Day that also fell on my husband's birthday. On Sunday, I was kind of running around my kitchen like a chicken with its head cut off. I made maple bars for Nick's birthday breakfast because I've been promising them for forever and kept not making them. Then I got dinner into the crockpot. Then I started on this dessert. In the midst of it all, I forgot that I had purchased cherry pie filling instead of making my own like the original recipe called for. So I started making the pie filling! LOL. I got down to the last part of it: add 2 cups pitted sour cherries. Whoops. I purposefully didn't make it because I really didn't want to bother with cherries. Can you buy them pre-pitted? Is that a thing? I'm not sure, but I will say that it was super easy to make the filling up until I got to the part where I didn't have cherries to put into it. I'm definitely going to have to use it to make different fruit fillings! These bars were very easy to make (even with my filling mishap) and they were wonderful. The dough part is more biscuity than I expected, but not a dry, hard biscuit. I made my glaze with almond extract because I wanted it to stay white and my vanilla extract is brown. I personally think the almond glaze worked really well with the cherries and cobbler portions of the bars. Overall, this was the perfect sweet but not too sweet dessert for our Mother's Day meal! Will your burrito bowl be loaded with the works or plain Jane? You decide! I can't believe I am posting this steak burrito bowl recipe so late in the day. We've had some lovely issues with our internet and I guess I didn't realize how long our signal has been so poor because my computer is connected straight up to the modem, but the tech was able to fix it in 15 minutes and we are good to go now! Hopefully, there will be no more random outages for an hour at a time. Spotty internet stinks! So back to these burrito bowls...what is awesome about these bowls (and those like it) is that they are customizable. Not everyone in my family will eat the same things. I like pretty much everything whereas Nick will not eat guacamole, sour cream, dressings, etc. So I can make mine loaded with everything and he can make his without -- and everyone is happy. This particular recipe has carne asada seasoned beef, pinto beans instead of black beans, and Spanish rice. Plus a chipotle ranch dressing. So so so good! Not your average snickerdoodle, a bite into these cookies reveals a creamy white chocolate filling! Happy Mother's Day to all the moms out there - whether you gave birth to your kid(s), adopted them, or are a stepmom, you are amazing and wonderful! Today's Sunday Supper event is MOTHER'S DAY MEAL hosted by Amy of My World Simplified and I went the sweets route, specifically white chocolate-filled snickerdoodles. Snickerdoodles are one of my favorite kinds of cookies and I will never shy away at an opportunity to add chocolate to a dessert. I think they are a great cookie to have with a cup of coffee and that is something that typically happens when my husband's family comes over. All of us ladies grab a cup of coffee and sit around the table and gab. I also think cookies are a wonderful dessert to have because the portions are small (so guiltfree, right?!) and they keep well, so if you have leftovers (pbbt!!! ), they don't have to be eaten the next day or anything. I was so impressed with how easy this variation of snickerdoodles was but also how huge of a difference that little bit of creamy white chocolate made overall. I really loved them fresh from the oven while the chocolate is all melty and warm, but they are still so good when the chocolate sets a little. 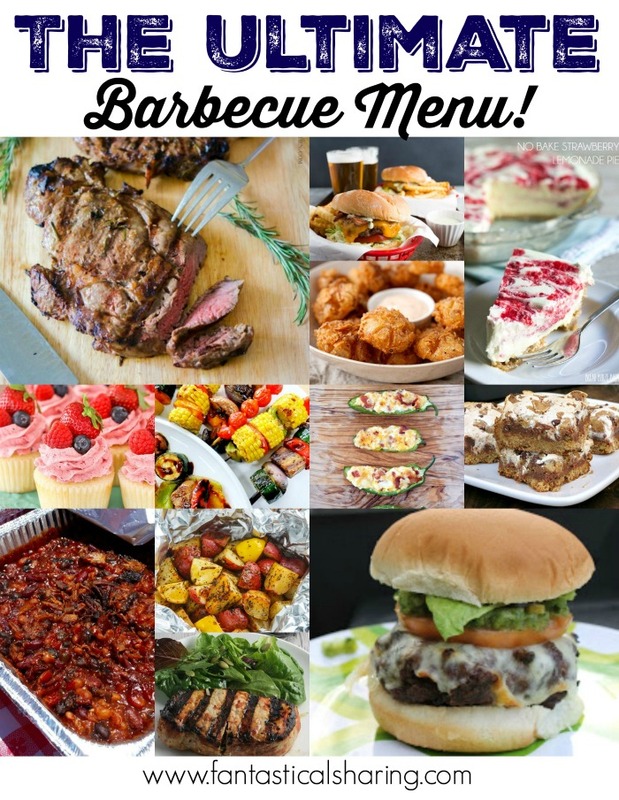 May is National Barbecue Month and I thought I would share some barbecue recipes, what with summer coming up and all. Below you will find some great appetizers, mouthwateringly amazing main dishes, tasty side dishes, and wonderful desserts for your summer cookouts! Breakfast casserole with tatortots -- it doesn't get much better than that! I don't make breakfast enough and it's becoming a real problem when I see recipes like this egg bake. Typically, this would be a weekend breakfast slash brinner meal because it takes a little over an hour to make. It's definitely worth it in the end and I really enjoyed how this one turned out. I love any meal that has spinach or kale in it. It's rare that I make a breakfast recipe with spinach or kale, so I was quite excited about it. I also believe this is my first time trying turkey breakfast sausage and I have to say that I enjoyed it immensely. I like to think of this recipe as a breakfast tatortot casserole and that makes me so so happy. A great dinner does not have to be ridiculously complicated to be delicious! Originally this recipe was meant for a beef roast, but I was really wanting a pork roast for our Sunday dinner when I planned to make this recipe. I am not one to eat gravy, but like most foods I was never fond of -- I have found that trying different recipes has made me more inclined to eat a food I'm not fond of. This is how I became such a big fan of alfredo sauce and Philly cheesesteaks! I did not eat my pork roast plain or with ketchup. I enjoyed a nice ladle full of onion gravy on top and it was so so good. It's the perfect meal to have on a Sunday evening with a potato side and veggies. This baked sausage and kale pasta dish is uncomplicated without sacrificing flavor! The school year is winding down and I'm looking forward to less chaos. 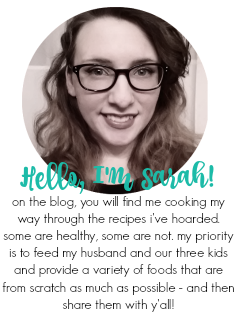 Although I am not 100% sure I will switch up how I do my meal plan concerning Mondays because they are still one of the busiest days of the week, even during the summer. I tend to go for pasta dishes because other than lasagna, most pasta dishes are pretty quick. I was immediately sold on this recipe because it contains kale. Call me a bandwagon-er if you want, but I totally get the kale trend. Is it still a trend? I'm not sure because I was way late to joining in. Kale and sausage are a really wonderful pair and add in cheese and pasta and it's literally heaven. It's such an uncomplicated dish with simple ingredients and doesn't take much effort to throw together. This week is almost all throwback recipes but I am kind of really excited for Sunday. Not only is it Mother's Day, it's also Nick's birthday. He's the big 3-0 :) We had no hesitation in picking a food that we would both love. This wicked ambitious Minecraft cake was made topped with a fabulous buttercream recipe that you can find below! This cake was a labor of love made for my oldest's birthday last year. He is obsessed with Minecraft and I saw a video on Youtube and thought I would be very ambitious and I'm so glad I was. It turned out very well despite a few hiccups. I'm pretty proud of how it turned out and Matthew loved it. I was a little worried he would be irritated that I put toys on his cake again (I put his Cars on a cake once and he lost his mind...maybe 3 or 4 years old? ), but he didn't seem to mind this time. The coolest part was definitely cutting into it and seeing more cubes (check out the pics below!). Let's jump right into sharing some old favorites! I am so fond of making a "breadcrumb" coating with Rice Krispies. They are so light and airy and end up so crispy. I first tried it with this recipe of CRISPY CHICKEN WITH CREAMY ITALIAN SAUCE AND BOWTIE PASTA. Also for all my root beeraholics, this CROCKPOT ROOT BEER PULLED PORK is wonderful. I have had both root beer and Dr. Pepper pulled pork and I think the root beer one is my favorite of the two! This 2-ingredient ganache is ridiculously easy to make and tastes divine! I needed a chocolate ganache recipe for the cake I was making for Matthew's birthday. A quick google brought me to the Food Network site and a very simple recipe popped up. It is by far the easiest recipe I think I have ever made and tastes incredibly delicious. It does require some cool time (2 hours in the fridge or 4 hours at room temperature), but it is so worth the wait. Incredible chili lime chicken taco with grilled pineapple salsa -- they cannot be beat! The chili lime chicken alone is one of my favorite things I have ever made. It's so dang good and it really goes perfectly in a tortilla. The pineapple salsa is also wonderful and compliments the chili lime chicken in a way that nothing else could. I wasn't able to grill mine like I wanted because of the lack of propane. Oops. It always seems to happen that way. These chicken tacos are by far my favorite chicken tacos...they just have everything I'd want in a taco! I cannot believe it's already May and it's shaping up to be a busy month. This week alone is going to be so insanely busy that I am pretty sure it'll wear me out for the remainder of the month. I am hoping to start making breakfast recipes. I have not been very good at even the three per week that I put on my meal plan. Oops.